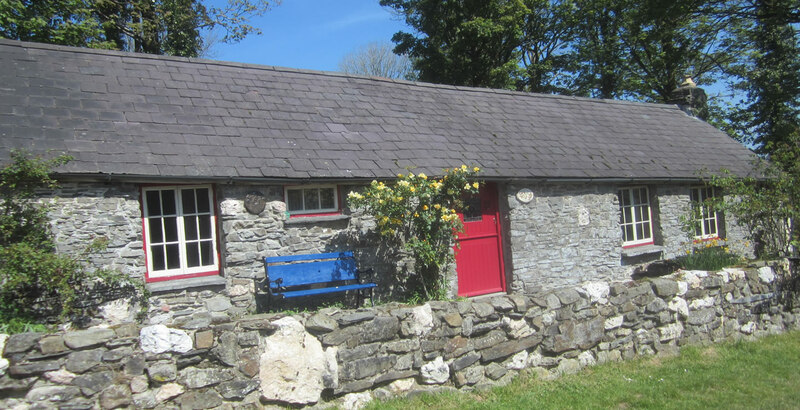 Penyrallt Fach Cottage is a dog-friendly cottage with a private wood-fired hot tub offering the ideal opportunity to get away from the busy pace of everyday life by staying on our beautiful organic farm in lovely west Wales. Enjoy walking through green fields and ancient woodlands on the farm or along some of the wonderful beaches of Cardigan Bay, just a half-hour drive away. After days out on the beach or discovering ancient sites and historic castles or shopping in the delightful small market towns of the area, return to the cottage for a cup of tea in front of a roaring log fire or a glass of wine outside enjoying a relaxing soak in the hot tub watching the stars & listening to the owls, the perfect antidote to city stress. In the cottage there is a well-equipped open-plan kitchen/sitting-room with a large farmhouse table with seating for 4 and in the sitting-room area there is wood-burning stove and two comfortable sofas, on which to relax after long summer days on the beach or invigorating walks in the hills. An extensive library of books & dvds is provided. There is free WiFi but no tv reception so while staying in the cottage is not a complete escape from the modern world it can be an opportunity to unplug from it. There are two bedrooms, a double & a twin, each simply & attractively furnished and the beds are supplied with organic wool duvets and locally woven Welsh wool blankets. Up to 2 well-behaved dogs are welcome. 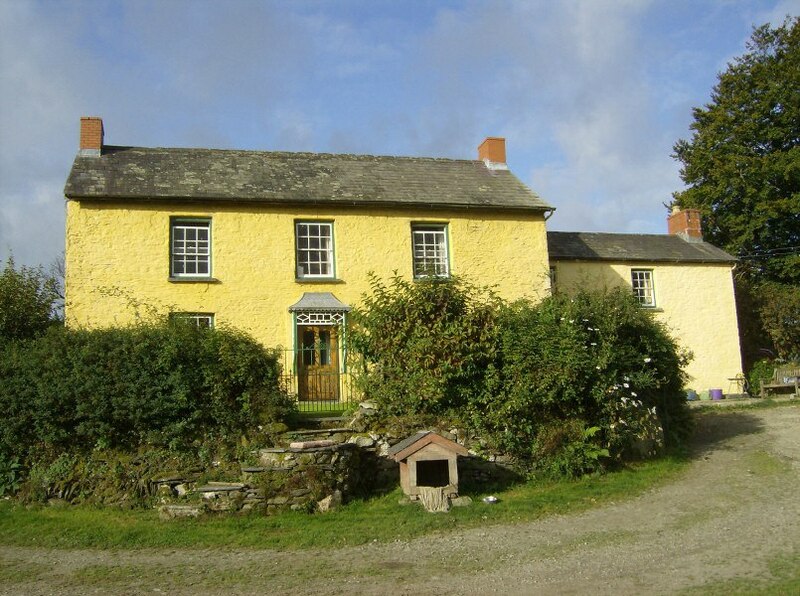 The farm is secluded at the end of a private drive & offers a wonderful opportunity for peaceful holidays in the lovely Welsh countryside, where you can experience life on a real working farm with its fine old stone building & 17th century farmhouse. 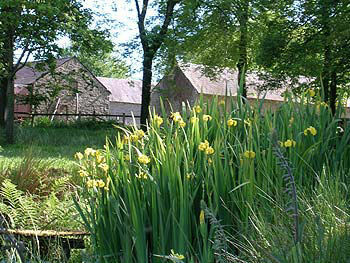 The farm is an ideal base from which to discover the glorious beaches & spectacular hills and mountains of west Wales. There are many ancient & historic sites, castles and attractive small market towns & villages to visit as well as gardens & National Trust properties, all within easy reach. Cardigan Bay is only 30 minutes drive away as are the stunning landscapes of the Cambrian Mountains & beautiful north Pembrokeshire. 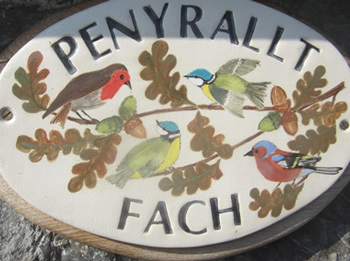 For walkers there is All Wales Coast Path and also the lovely trails along the river Teifi. Guests are welcome to walk over the farm and see the daily routine of a real working farm which includes the twice-a-day milking of our herd of Ayrshire & British Friesian cows and depending on the time of year, the feeding of calves, lambing and silage or hay-making. Children can run in the fields, explore the woods and paddle or build dams in the little river in the woodland to have real old-fashioned childhood experiences. Guided farm walks can be arranged, free of charge. Occasionally the farm hosts farm tours to school groups and any other interested parties. Please contact us for details. Wildlife abounds on the farm. There are resident badgers, foxes and rabbits as well as buzzards, red kites, herons and kingfishers. In the spring and summer many wildflowers and butterflies are to be found in the hedgerows and banks that run across the farm. The several ponds on the farm have frogs, toads, newts and winged insects such as dragon-flies & damsel-flies in abundance. We also have seasonal visits from Canada geese and mallard. The birdsong is wonderful and several species of owl can be heard at night. At twilight bats can be seen performing their acrobatics. On clear nights there are great opportunities for star-gazing as there is very little light pollution in the area.